First and only Leopard 45 on the market! Do not wait, this one will go quick! Broker's Remarks: Leopard brokerage is proud to present "Double Shot" an exceptional Leopard 45 launched in 2017. Available now in Grand Cayman without the 16 month wait from the factory. Nicely equipped with 9kw Genset, Cruisair A/C, Code 0 on bowsprit, Raymarine Instruments, Inverter/Battery Charger, Cockpit Cushions, Square Top Mainsail, Radar, Helm Enclosure, Cockpit Refrigerator, 400w Solar, Stereo, and Dinghy. Ready to cruise now with freshly painted bottom! 3 cabin owner's version! Builder's Remarks: We are pleased to announce that the Leopard 45 has been awarded 2017 Boat of the Year by Cruising World Magazine. This marks the 7th Cruising World Boat of the Year win by Leopard. 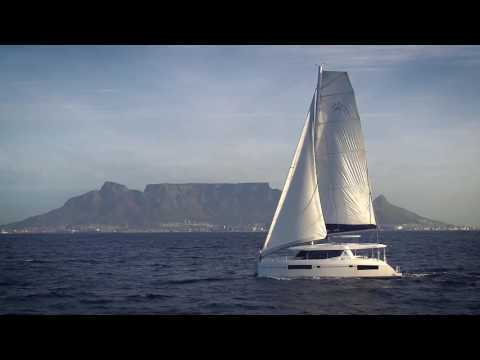 This year’s award was in the newly created Best Charter Catamaran category proving that South African Builders, Robertson and Caine, have perfected the art of not only creating the perfect private owner’s boat but one that is perfectly suited for the charter industry as well. The judging was done by a team of three independent industry experts, who conducted thorough dockside inspections and then carried out sea trials. The Leopard 45 proved to be the leader of the pack in all areas of the judging. What stood out in particular was her performance and innovation. Additionally, the judges were impressed by the amount of space provided by the forward cockpit, which is connected to the saloon through a translucent door. Another area of interest to the judges was the main saloon, which hosts a forward facing galley and dinette. The judges also noted that visibility through the Leopard 45 is excellent. 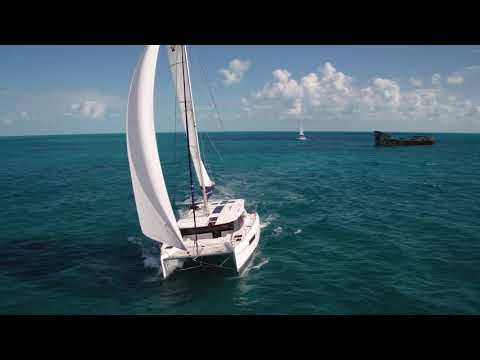 The Leopard 45’s increased area, ergonomically designed open plan saloon and galley, increased forward cockpit and more onboard area make her the ideal catamaran for guest entertaining as well as long-range cruising. Sail Area: 1318 sq. ft.
Upholstery/Color Scheme: Faux Leather "Artesian"
House Batteries: 3 x AGM 210 AH ea.